This weekend marks the centenary of the Armistice and it is being commemorated across Hither Green and its environs. From British Legion events at The Broadway Theatre to memorial concerts, poppy drops, Evensongs and Armed Service Parades. Links with details about each event below. Our community is continuing to rally behind the Kissi-Debrah family. 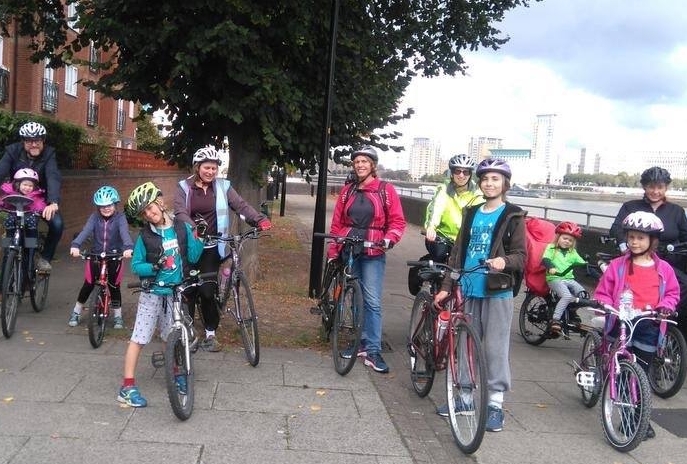 They lost Ella to severe asthma at 9 years old.The family are currently appealing to the Attorney General to re-open up Ella’s inquest in order to consider fresh evidence about levels of pollution in Hither Green. Please find a minute to sign and then share this petition to help bring about a landmark coroners report. ‘Holiday At Home’ Activity Programme for Older People! Enjoy fun, games and sunshine this summer! Several local groups are working together to produce a fab programme of summer activities for older people. There will be fun activities at venues across South Lewisham. Please contact Co-ordinator Lesley Allen on 07729 785843 or contact the staff on the posters directly. Spread the word! This will be a #SummerOfFun! The Buzztones present Buzztopia @ Catford Theatre! The Buzztones are a terrific acapella group with super vocals and a contemporary repertoire. From Britney Spears to Guns n Roses via Bruno Mars! In just over a week they will perform their new show ‘Buzztopia’ at the Broadway Theatre in Catford as part of the Catford Festival. A Hither Green Festival Event: ‘Joanne Chen & Friends’ are professional international musicians who play for the Royal Philharmonic and London Philharmonic Orchestras. We were delighted to welcome Joanne to this year’s 10th Anniversary Festival and she has arranged a wonderful classical programme. A couple of these musicians are based locally and they are so excited to be playing ‘at home!’ Joanne is delightful! She charmed SO many with her humour, passion and commentary as she and her fellow musicians played tangos and movie soundtracks at The Station Hotel last week. If we want fabulous cultural events on our doorstep, we have to support them! Imagine! International standard professional concert and you can walk home afterwards! These tickets are SHIFTING, so please do not delay! Children’s Festival Activities this weekend: Music, books, Food & Dancing! 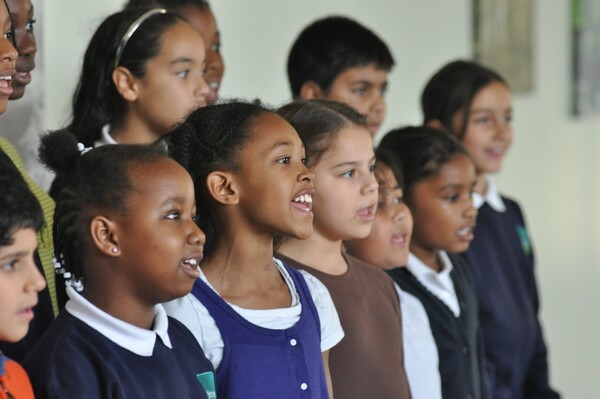 Thursday 17 May: The Schools’ Concert, 6pm @ Brindishe Green School, Beacon Road. The weather this evening looks great and so tonight’s concert will likely be OUTSIDE in the playground, meaning there will be more room for members of the community. HOWEVER, should there be a downpour, the concert will restricted to family only in the School Hall. 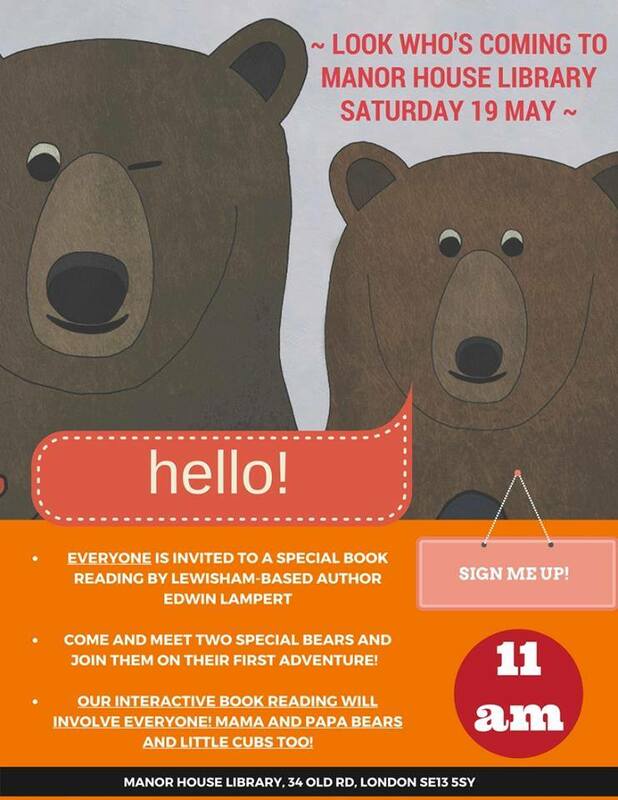 Come along and and join Edwin for an interactive reading of his first book: The Adventures of Brunhilfer and Brunfin: The Flood. This book is a celebration of two very special bears, Brunhilfer and Brunfin, and their adventures in the community. It gently promotes community participation, loving kindness and the importance of being true to yourself. All proceeds from every sale go to The Brun BearFoundation. 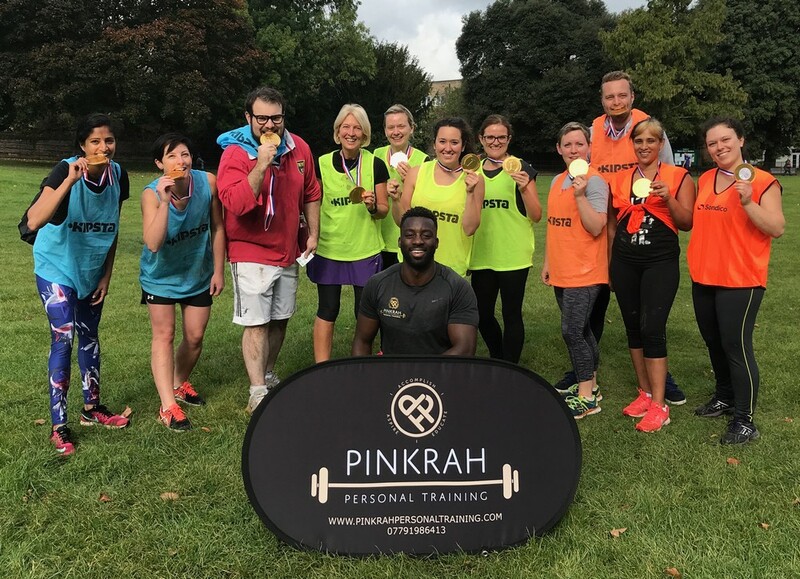 The Brun Bear Foundation supports charities and projects focused on medical research into infant and childhood illnesses; animal welfare and community projects in the London Boroughs of Bromley and Lewisham. Saturday 20 May, 12-2pm @ Mountsfield Park Community Garden on Stainton Road. The entertainment line-up includes Sing Along Sally and TheOld Time Wasters. Sunday 20 May 11.30 at the ArtsCafe in Manor Park. 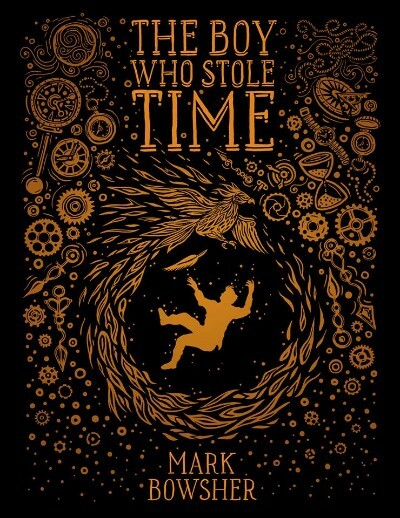 Local author Mark Bowsher’s fantasy tale for children aged 8-14. Join Mark as he tells Krish’s story; a young boy who travels to a magical realm and is set three impossible tasks to win the essence of time itself in order to save his mother. You can pre-order on unbound.com and get a 1st edition copy with your child’s name in the book. Search ‘Bowsher’ on unbound.com. A family oriented party with live music, dancing, face painting and games. The Dacre Morris dancers will be there and so will the Sandhurst School Choir. 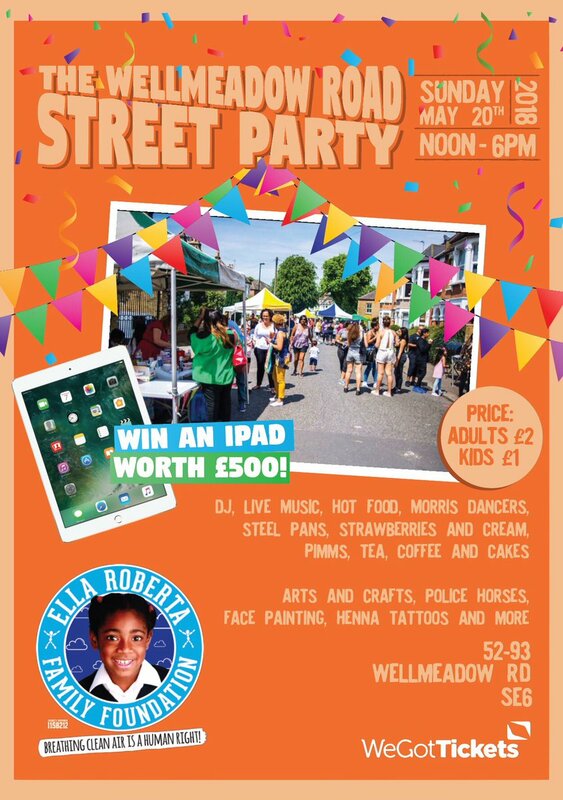 PLUS there will be a steel band and a DJ, candy floss, hot food, Pimms & strawberries waiting for you! Thanks to Kinleigh Folkard & Hayward in Catford, there will be a terrific raffle too. 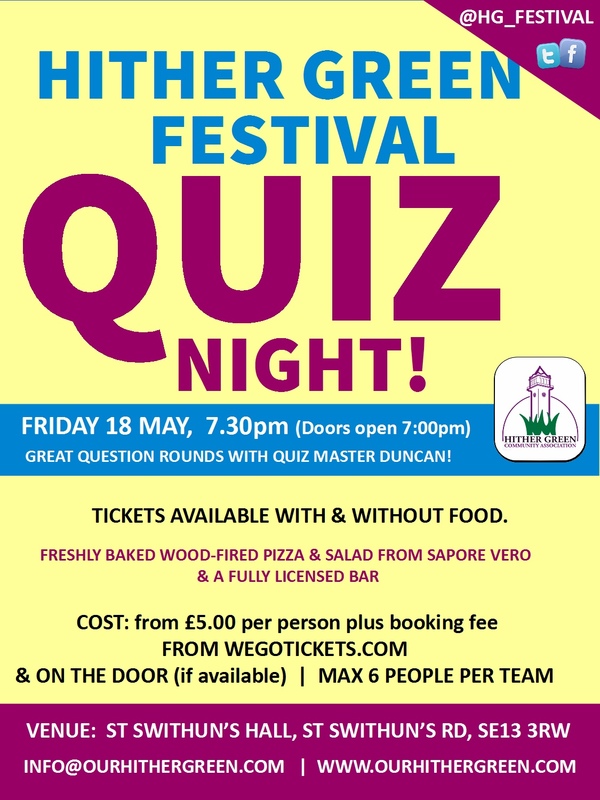 Hither Green Festival: Women and Sci-Fi + a great Quiz Night! Katy Darby and Cherry Potts are authors and editors with Arachne Press. Together they will be hosting “Women & Science Fiction & Fantasy” – a discussion of women writing in these genres and how women are portayed. There will be an author panel, book reading and a Q&A. PLUS a chance to buy books! 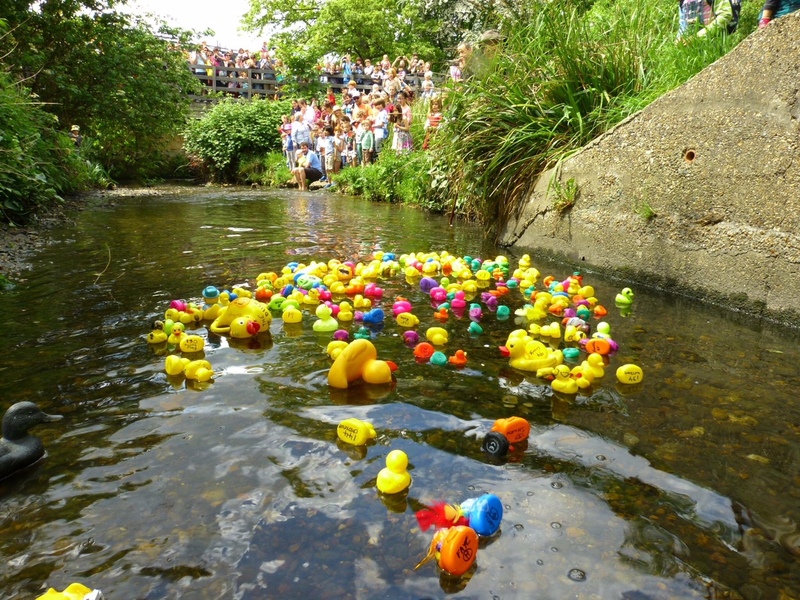 Hither Green Festival! Demon QuizMaster Duncan is back with fiendish question rounds and puzzles. We dare you to pit your wits against him and your neighbours! Duncan is super funny and this is always a sellout Festival favourite. Sunday Evening at the Station Hotel: Joanne Chen and Friends playing John Williams’ Theme from ET- the Extra Terrestrial. Stunning musicians from the Royal and London Philharmonic Orchestras. Catch them again 7pm this Saturday 26 May at St Swithun’s Church. They will be joined by Jeongmin Kim on Violin. Please share and spread the word. If we want great events like this in our neighbourhood- we have to show up! Tickets available online https://t.co/9TTmAY5tsN and on the door. TONIGHT: The Station Hotel Jazz Dinner. 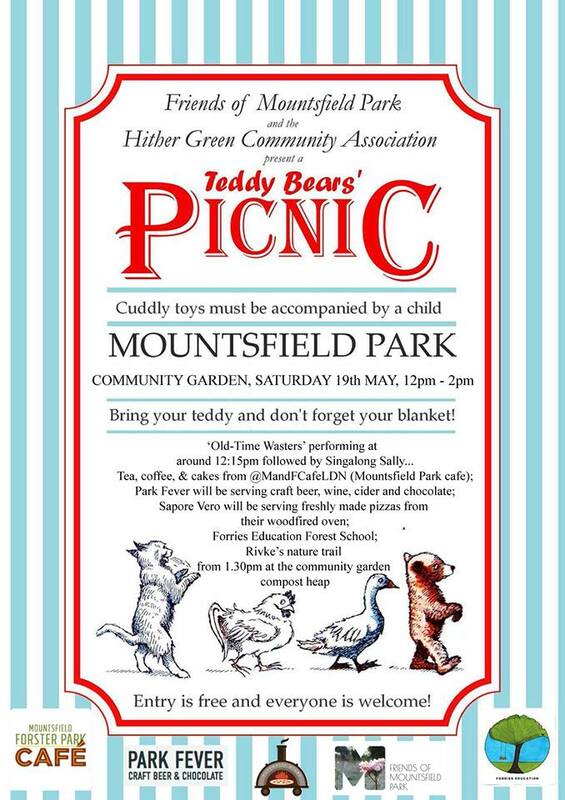 A wonderful Hither Green Festival Extra! Dine out at The Station Hotel this evening. A delicious 2-course themed dinner priced at just £17 per head. Spaces at the annual Jazz Dinner always go fast.